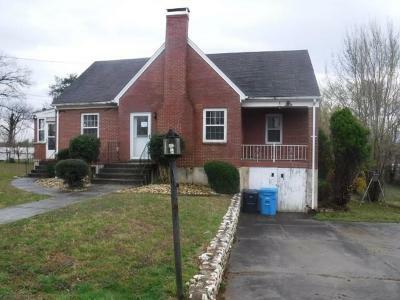 ***** ATTENTION AGENTS, I HAVE MULTI OFFERS ON THIS PROPERTY AND NEED ALL HIGHEST AND BEST OFFERS BY 5PM TOMORROW ****THIS HOME FEATURES 3 BEDROOMS, 1 BATH LARGE LIVING ROOM WITH FIREPLACE. KITCHEN, GARAGE AND LARGE LEVEL LOT. ALL OFFERS ARE HELD FOR 3 DAYS FROM THE LIST DATE. PLEASE USE THE OFFER FORM ATTACHED AND A COPY OF YOUR BUYERS PROOF OF FUNDS REQUIRED. BUYER TO VERIFY ALL INFORMATION. ''This property may qualify for seller financing (vendee). Go to listing.vrmco.com for the most up to date information on this asset. The property Placard is Attached in documents. Use the property Identifier number to look up this property. ''THIS HOME WAS BUILT PRIOR TO 1978 AND MAY CONTAIN LEAD PAINT. BUYER TO VERIFY ALL INFORMATION.